I thought it was about time I shared another decorating before and after with you. This time it is the dining room, I am very slow at getting things ship shape and with all of your rooms this is “in progress” but worthy of a share. Lets start with the before and hey guess what color you were? That’s right, another brown/beige room complete with hideous curtains. And by the wave of my internet wand here we have the room as it is today, and oh so fresh after years of brown. Behold the magic of paint! 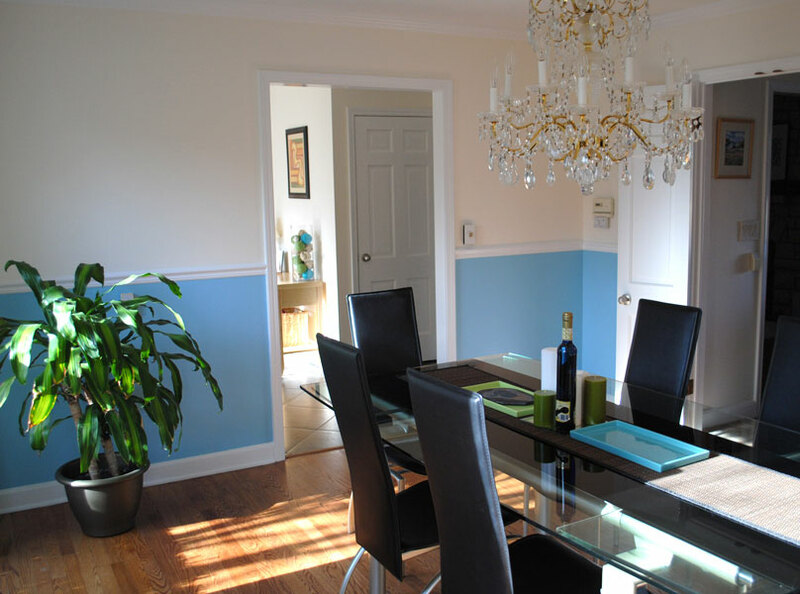 This entry was posted in Home Decor, Room Makeovers, The Power of paint, Wall Art, Windows. Bookmark the permalink. ← Changes with Creative in Chicago, can you spot the difference? 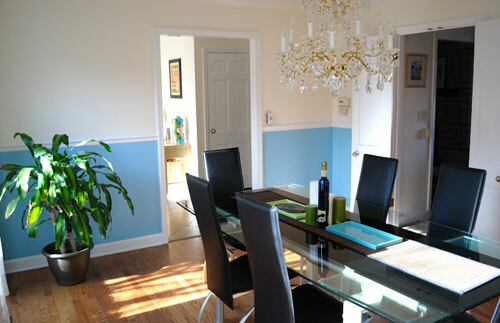 Thanks Linda …it's funny I think that blue may just be my color, I find I have used it as a pop all over the house! Hello I love the dining room set. Can you please tell me where you purchased it? Thank You. 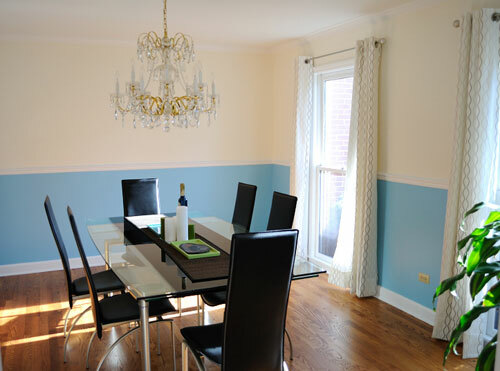 Hi, I am confused with the traditional chandelier but the contemporary table and paint scheme? 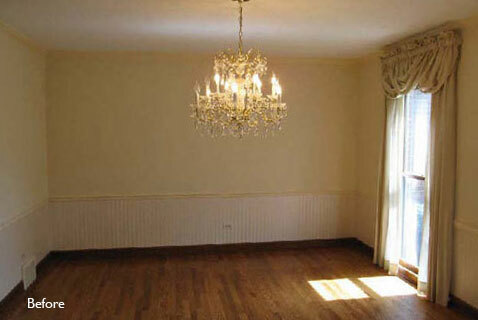 It was the room in progress…ugly chandelier is long gone…need to do an updated post to show new light!